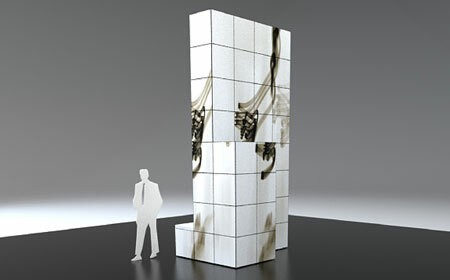 MultiQuad Towers give exhibitors the ability to create exhibits with heights up to 16 feet. 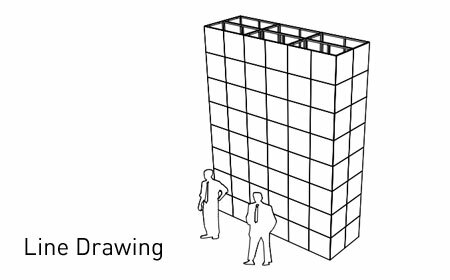 Each MultiQuad Tower can be arranged in a variety of widths, depths and configurations to meet any size booth space, need or budget. 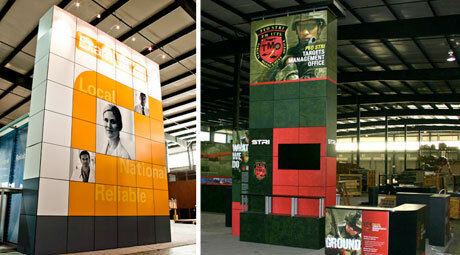 Utilizing a MultiQuad Tower is not only an innovative and attractive exhibit option; it is a smart move, helping to eliminate the cost and trouble of traditional hanging signs. 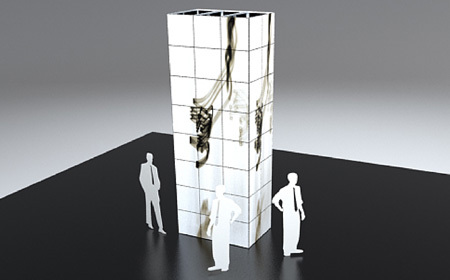 Company logos or marketing messages can be placed anywhere across the top of the tower, propelling the message high above other exhibits, for maximum trade show visibility. 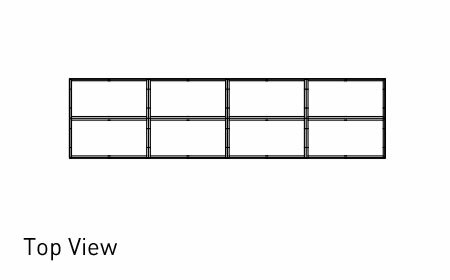 With a lightweight structure and compact packing system, MultiQuad Towers pack and ship in one or two crates, helping to keep operating expenses (shipping, drayage, labor, etc.) 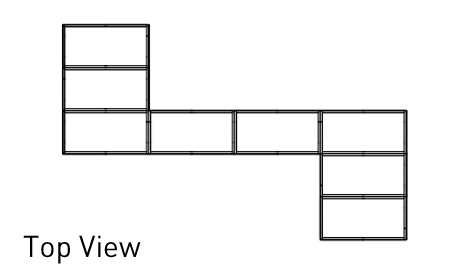 manageable. 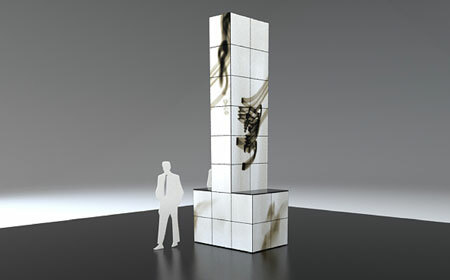 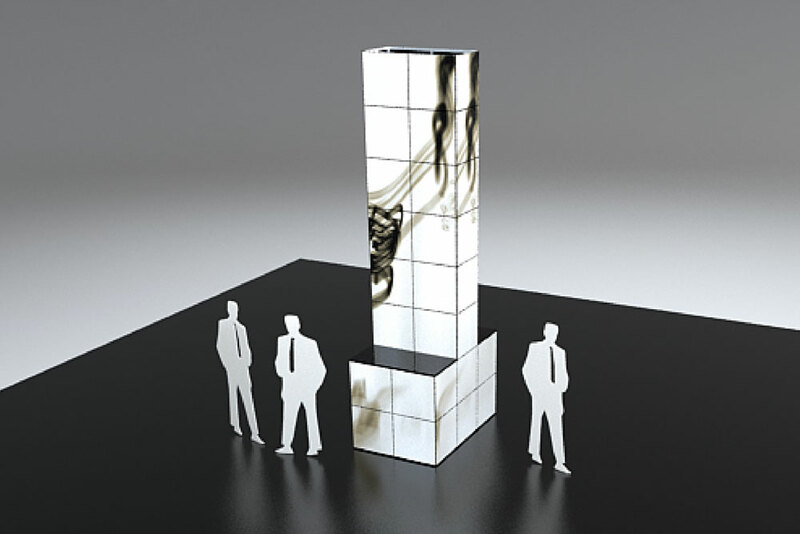 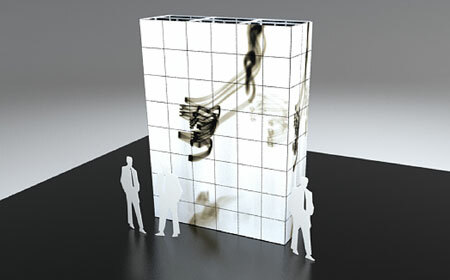 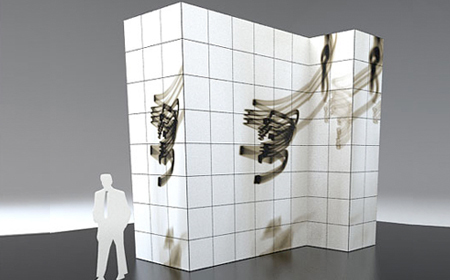 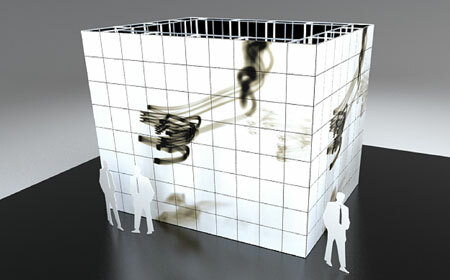 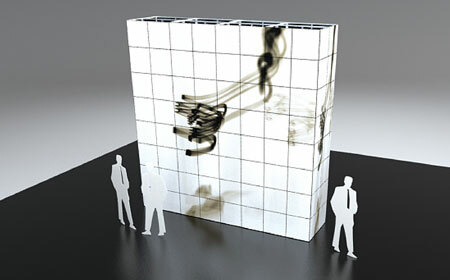 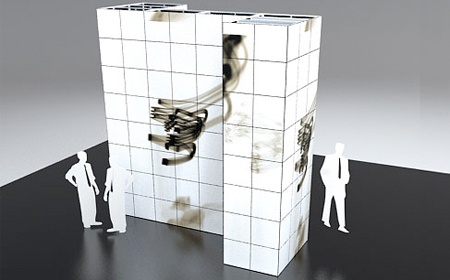 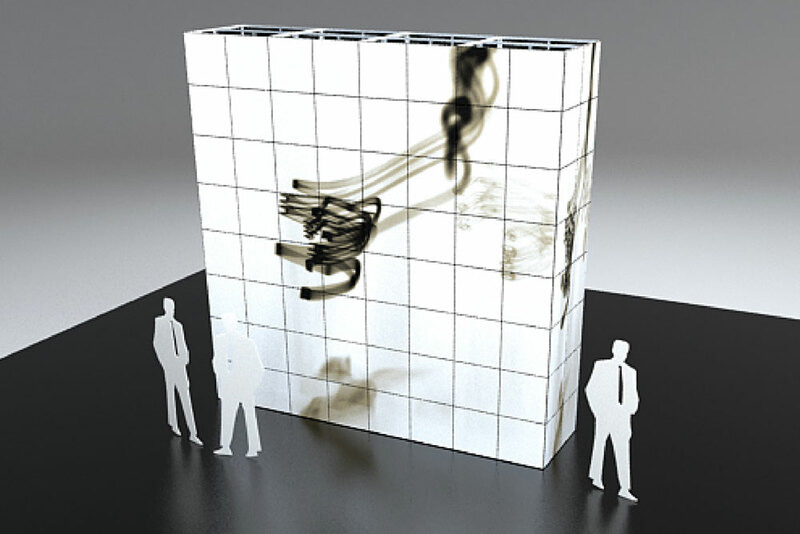 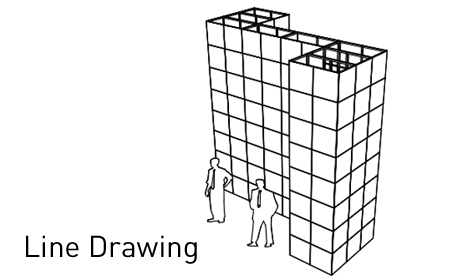 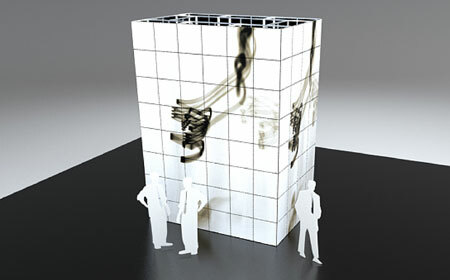 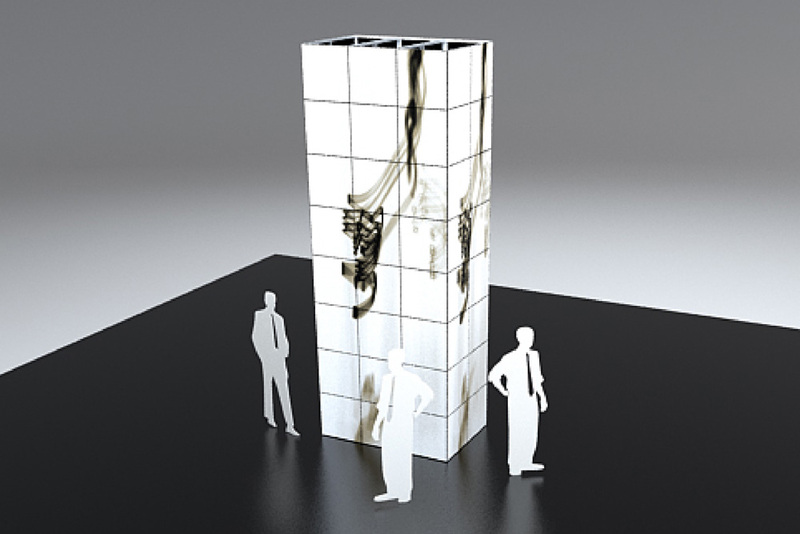 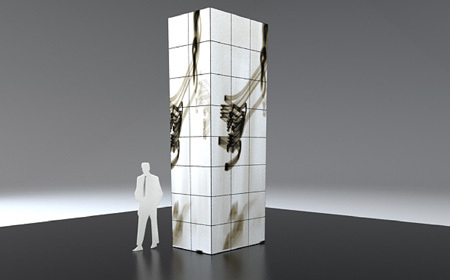 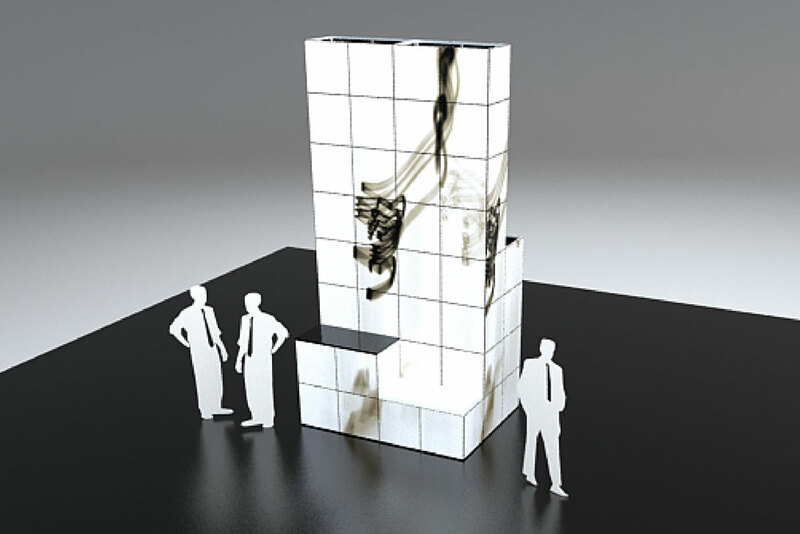 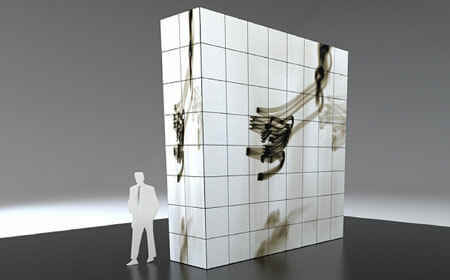 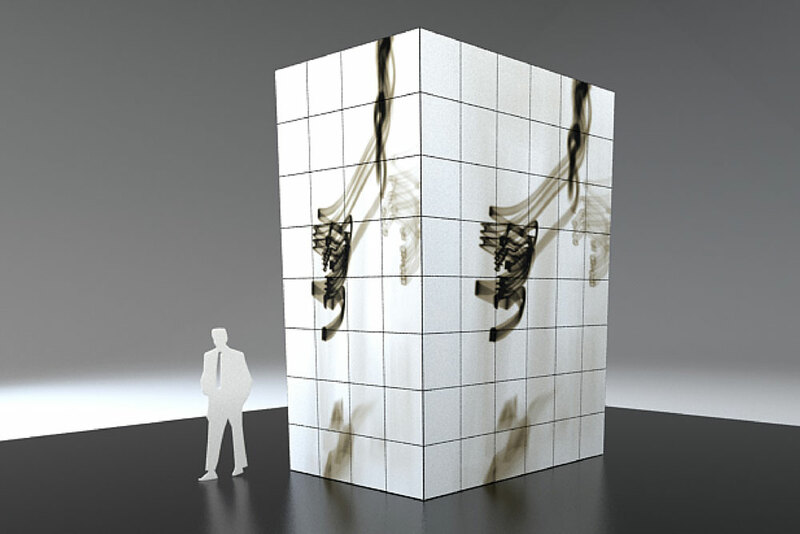 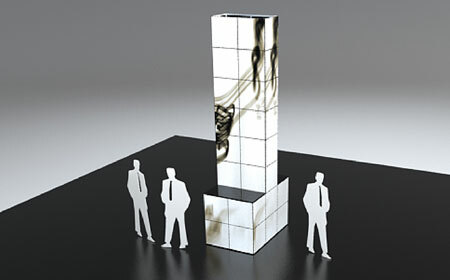 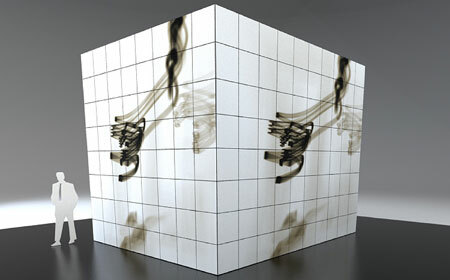 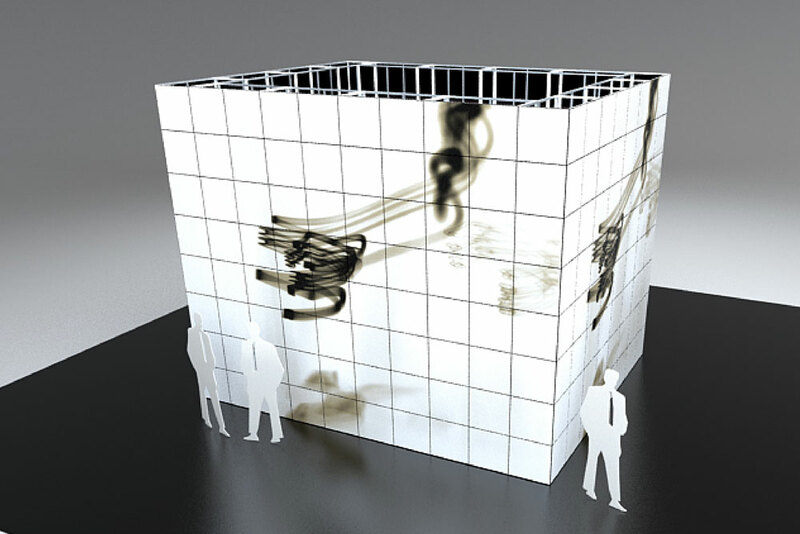 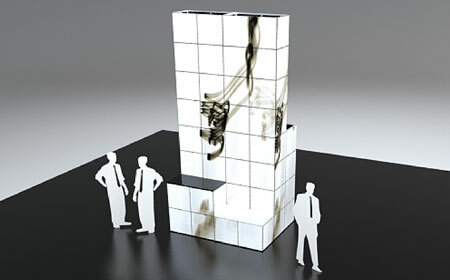 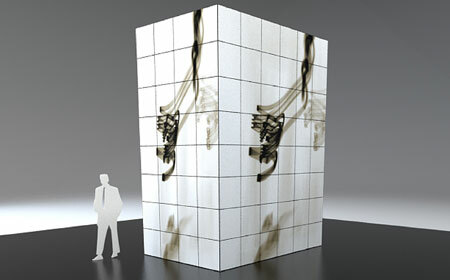 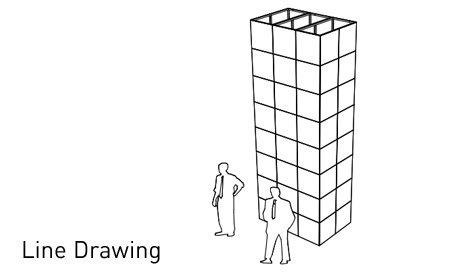 To help exhibitors envision how the MultiQuad Tower system works, ExpoDisplays has created eight introductory packages of uniquely designed towers. 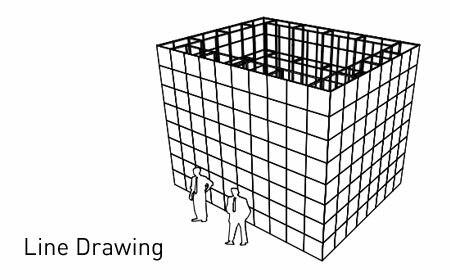 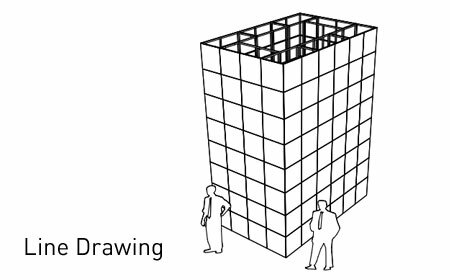 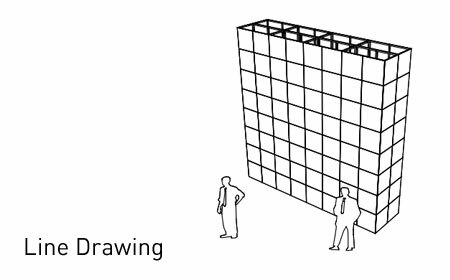 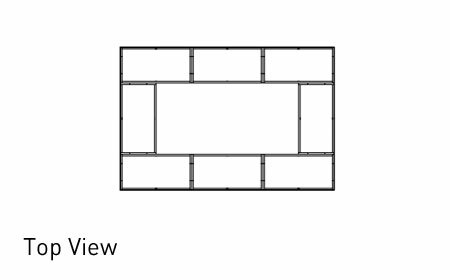 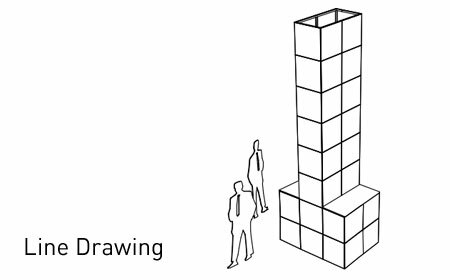 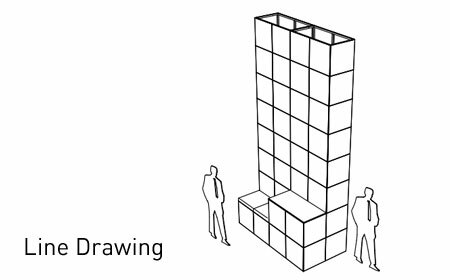 For one set fee, exhibitors can purchase a pre-designed MultiQuad Tower package that contains everything needed to construct the design, including the framework, Quads™ and shipping container(s). 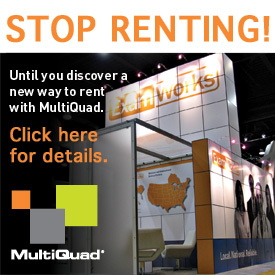 Backed by ExpoDisplays’ "Always in Stock™" promise of inventory, exhibitors have the option of choosing to purchase or rent a MultiQuad Tower at any time. 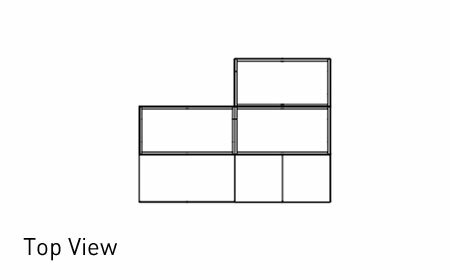 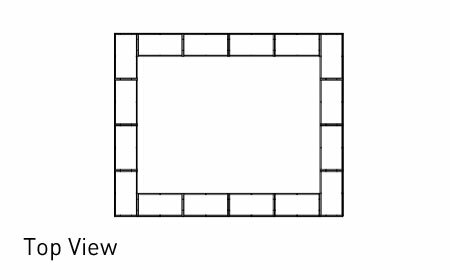 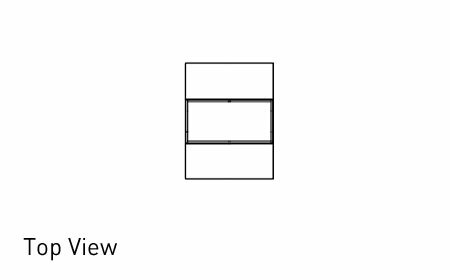 Move your mouse over the image to see controls to scroll through images or view enlargements. 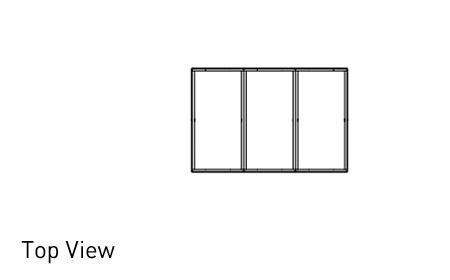 This package adds a resourceful counter and bench seating to your exhibit. 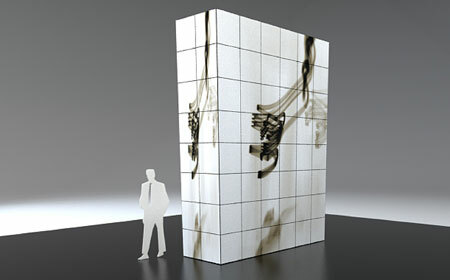 They can be placed flush against the exhibit (as shown) or positioned anywhere in your booth space. 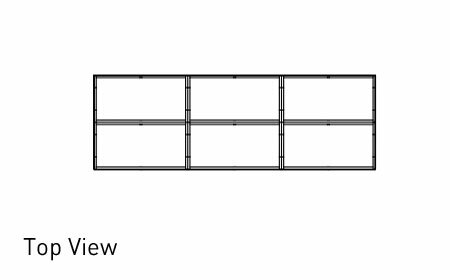 Features an identical front and rear configuartion; each with a side wall to maximize visibility from alternate angles.